Don’t be surprised if Kevin Hart’s face starts appearing more and more on your computer, smartphone or tablet screen. 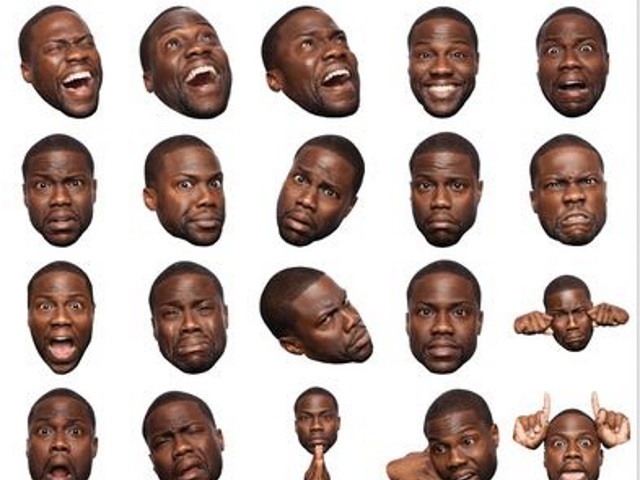 The actor and comedian launched his own iOS application last week, KevMoji, featuring emojis and GIFs for iMessage with real faces. When we decided to make KevMoji, all I knew is that we had to do something no one else was doing. So here we are, literally changing the face of iMessage by creating a real experience through emojis and stickers, rather than in animation. With the launch of iOS 10, my production team, HartBeat Digital, along with Snaps, is revolutionizing the kind of content I’m able to share with my fans. Hart followed up the launch of KevMoji with an announcement via Periscope Monday that he teamed up with Periscope to create “Kevin Harts”—when users of the Twitter-owned live-video application click to give videos hearts, Kevin Harts will show up instead if the hashtags #KevinHartWhatNow or #KHWhatNow are used in their broadcast titles. Those same two hashtags will also trigger a special Kevin Hart emoji on Twitter. Readers: Does Kevin Hart appear to be following you everywhere?